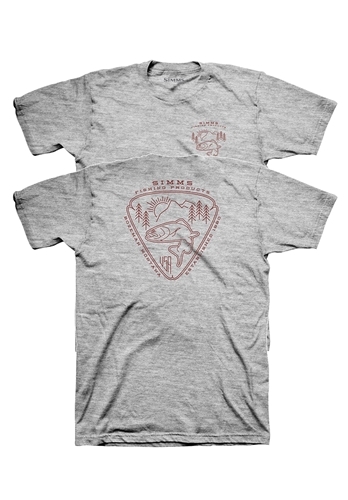 This short sleeved tee has a a triangular emblem with a trout inside and Simms Fishing Products printed around the outside of the emblem printed on the back of this comfortable t-shirt. The emblem is also in a smaller print on the front left chest. No scratch interior neck label.